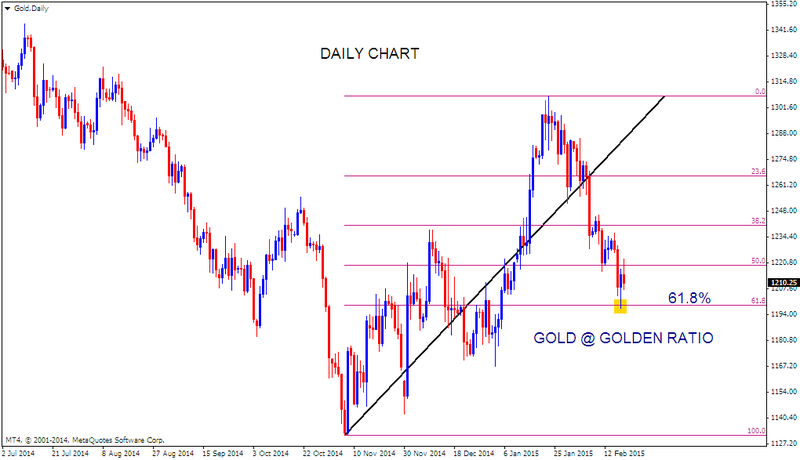 Gold daily chart shows price at possible support line and Golden ratio. Bulls are slightly weaker for now as price stands below 200 and 50 Day SMA. 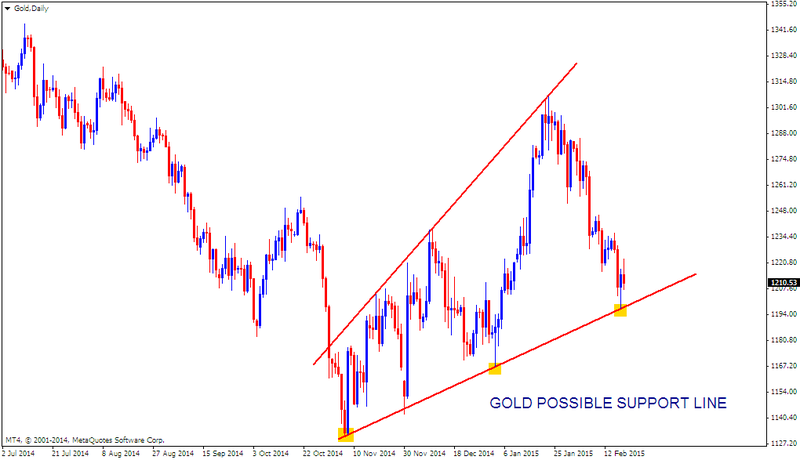 More weakness if the above shown levels are not held. 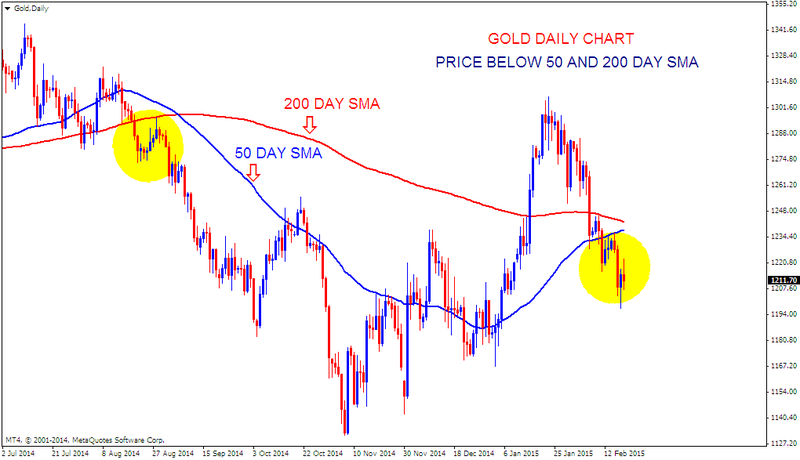 Possible bounce if price moves back above 50 and 200 SMA from the current levels.